Athena enjoying cuddles with a volunteer. 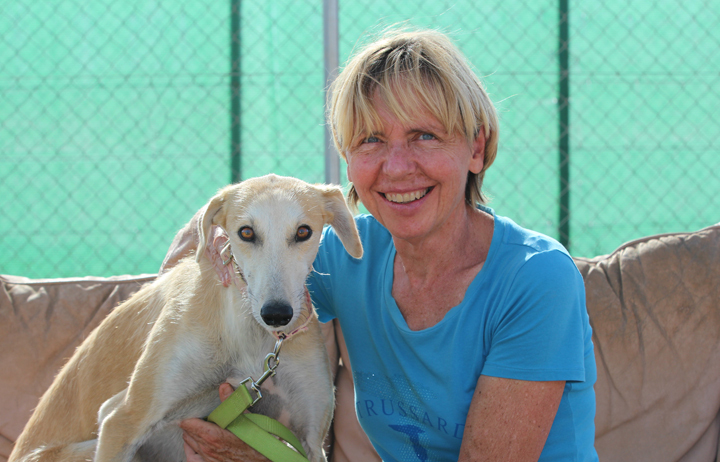 In Tina's words, the rescue of Athena was "hairy, scary rescue". Watch the video and see exactly what Tina means. Once at GDS, Athena has been coming on and is out walking with the volunteers. Yes, I am interesting in sponsoring or adopting Athena!